Are Your Prepared For the Next Power Outage? Power outages are a nuisance, at best. In any case, they cause inconvenience and business disruption, and pose risk of injury to those in impacted areas. But, there are ways for businesses to prepare that can help reduce risk and loss. Take, for instance, an outage that certainly wasn’t anywhere near major in terms of customers impacted, in downtown Meadville, in the northwest corner of Pennsylvania, last week. The outage impacted only about 320 customers, but many of them were companies that had opened for business. Mike Wood, who operates Pizza Villa, was among the business owners with an outage contingency plan in place. He cooks with gas, so he was able to continue preparing food in the ovens, though customers had to with only limited lighting. Wood was wearing an LED headlamp to allow him to move freely with good lighting as he worked. He also had an LED lantern and portable power pack to power his cash register, credit card machine, and phone. For the most part, Pizza Villa was fully functional for the lunchtime period thanks to his foresight. Others weren’t as fortunate, like Julian’s Bar and Grill, which put a sign out notifying customers it was closed for lunch and would open later in the afternoon. Shryock Senior Apartment complex, a multi-story senior housing community, was without elevator service for many hours. 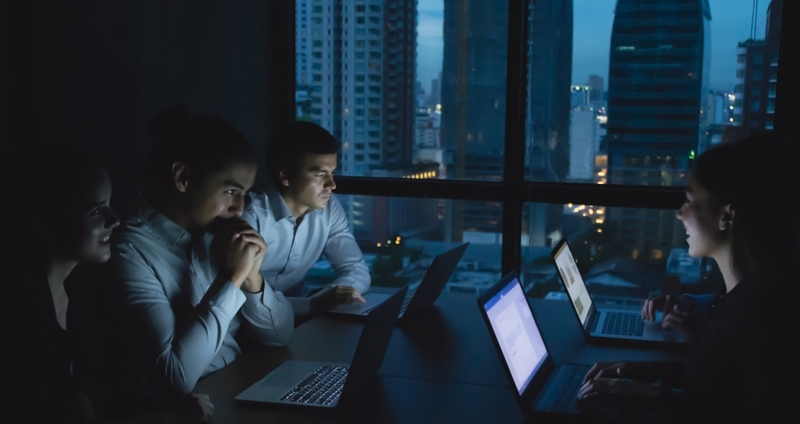 Beyond the obvious impact of lack of lighting, functioning elevators, traffic lights, and other powered equipment, power outages present an even greater risk to businesses that are dependent on technology for operations. Unprepared owners, executives, and IT managers, who have not considered the damage power outages can cause to equipment, put their entire operations as risk, should a sudden surge run through their lines frying circuits in their systems. The circuit boards that allow PCs, servers, switches, and other equipment to function are very sensitive to power fluctuations and, while they are designed to withstand normal current variations, spikes that often accompany outages are well above those limits. While Wood had a portable power pack to run his equipment, had his equipment been damaged, it would have been useless. Even a small UPS power device can help protect small equipment, like phones and credit card machines, and can provide at least limited backup power instantly. For larger businesses with more expensive network equipment, power protection systems are a must. They can provide standby power to power down systems to prevent damage when power returns but, more importantly, they regulate line voltage to keep surges from causing damage that would require components to be replaced. Regardless of backup power generators and portable lighting, installing a properly sized power protection system for critical infrastructure is the only way to effectively secure against electrical damage.